Have You Stopped Improving Yourself? 4 Ways to Stay In The Game! 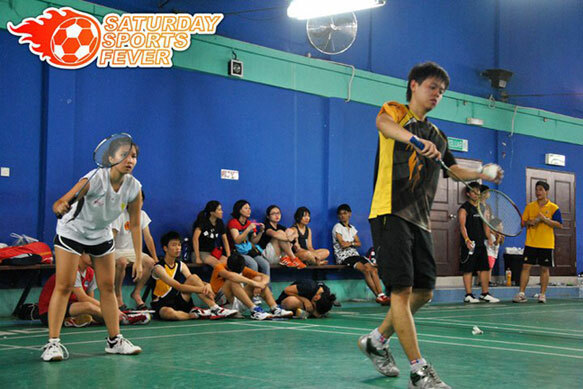 I’ve always enjoyed the game of badminton and I’ve been playing the game ever since I could remember. I could safely say that I’ve been a decent player with some tournament wins here and there and have also learnt a great deal from this sport. As time passed, I got pretty busy. From playing the game everyday (in high school) to thrice a week and now, barely once a month. Needless to say, my plays naturally declined as I wasn’t playing enough to improve – and that got me thinking. I’ve known of some really talented tech guys when I first started exploring the industry and I’ve learnt quite a bit from them. However, over the years they’re seen repeating what they already know over and over again to the point where it became obsolete, especially when technology advances so quickly. To cut the long story short, they switched to a different industry. Mind you, they were experts before. Many great teachers will tell you that you stop improving when you stop learning, and it is true. No matter how good you are in what you do now, time CAN take its toll on you if you’re not constantly practicing, learning, improving and sharpening your skills. In fact, I think one of the most important trait of a teacher / expert / leader is the willingness to learn and to continuously improve as people will respect that. A good example would be Mark Schaefer (@MarkWSchaefer) – he’s already good at what he does, he has his own business going, a huge blog community and he can as well just make money by selling his thoughts. But what I think made him so successful in what he does is that he never stops listening, he never stops learning and he never stops growing (which is the name of his blog community, by the way). I would also say the same for Robert Dempsey (@rdempsey), he never stops testing and experimenting on different marketing ideas and strategies and documents them on his site. Yesterday you’ve 10 Friendster accounts with thousands of friends and testimonials (those were the days) in every one of them… today, Friendster is no more. Are you ready to lose out just like that, knowing that you may have the ability to achieve what you could have achieved? Challenge yourself consistently. It doesn’t need to be big but keep yourself on your toes. Spend some time daily to learn something new. Read articles, watch videos, do something that can help you improve your knowledge / skills in what you do. Ah, how easy it is to put a task off. We are all master procrastinators at one point or another. The best part is that we often argue ourselves out of it. After all, it makes sense right? Wrong. Here’s the deal – if you’re not gonna make it work, nobody will! So if you really want to improve yourself, get moving! I’ve been reading a number of posts saying new year resolutions don’t matter simply because you won’t fulfill them. I say that’s rubbish. You couldn’t fulfill them simply because you’re doing #2 or you’ve set goals that you may not have been able to achieve anyway! Set goals that are within your means to reach (at least of a start). 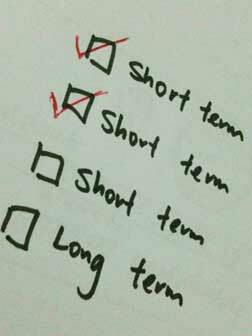 Set a short (smaller) term goal followed by a longer (bigger, accumulated) goal. You can’t possibly run for an hour everyday if you haven’t done that in years so start once a week then twice and slowly add to it. You’ll find your goals easier to achieve that way. It is very easy to give up, trust me, I know. At times it seems as though all the effort was flushed down the gutter and you feel like throwing the towel. You know what, giving up is easy. But what makes an entrepreneur an entrepreneur is that he / she does not give up. If you ever find yourself in such a situation, you need someone that you can trust to be your support system. Whether it is a loved one, a family member, business partner or a friend, that’s where you should go to, vent, and move forward from there. I definitely have mine. Have you ever found yourself falling back on what you (or used to) do best? Oh my goodness, you play badminton!! Now I’m really excited about coming over – it’s up there with one of my favourite sports! That aside, there’s a lovely analogy I like – if a tree isn’t growing, it’s dying. Taking time out each day, even to just improve one percent will mean that we keep growing in our crafts.